Hydraulic rock drills top hammer type from 51 mm to 127 mm drill hole diameter. 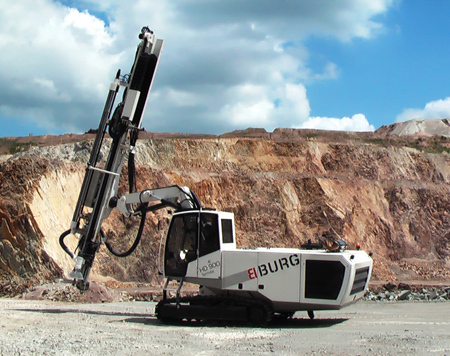 Hydraulic rock drills down the hole type from 89 mm to 178 mm drill hole diameter. Down the hole hammers from 89 mm to 178 mm hole diameter. Drill bits, drill rods for mining, quarries and tunneling works.